Chang, C. Y. * (2016). The marriage of interdisciplinary research: The old, the new, the borrowed, and the blue. Journal of Science and Innovation, 6(1), 29-39. Chen, C. L. D., Chang, Y. H., Chien, Y. T., Tijus, C. & Chang, C. Y. * (2015). Incorporating a smart classroom 2.0 Speech-Driven PowerPoint System (SDPPT) into university teaching. Smart Learning Environments, 2(7), 1-11. DOI:10.1186/s40561-015-0010-2. Hsiao, C. H., Wu, Y. T., Lin, C. Y., Wong, T. W., Fu, H. H., Yeh, T. K. & Chang, C. Y. * (2014). Development of an instrument for assessing senior high school students’ preferred and perceived laboratory classroom environment. Learning Environments Research, 17(3), 389-399. Rundgren, C. J., Chang Rundgren, S. N., Tseng, Y. H., Lin, P. L. & Chang, C. Y. * (2012). Are you SLiM? – Developing an instrument for civic scientific literacy measurement (SLiM) based on media coverage. Public Understanding of Science, 21(6), 759-773. (SSCI). Lin, M. C., Tutwiler, M. S. & Chang, C. Y. * (2011) Exploring the relationship between virtual learning environment preference, use, and learning outcomes in 10th grade earth science students. Learning, Media and Technology, 36(4), 399-417. (SSCI). Yang, F. Y. *, Chang, C. Y. & Hsu, Y. S. (2008). 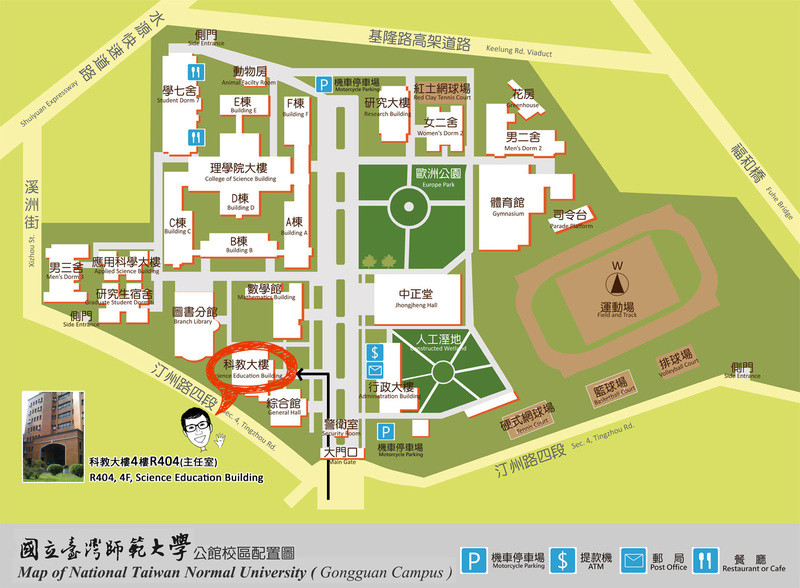 Teacher views about the constructivist instruction and personal epistemology: A national study in Taiwan. Educational Studies, 34(5), 527-542. (SSCI). Chang, C. Y. * & Cheng, W. Y. (2008). Science achievement and students’ self-confidence and interest in science: A Taiwanese representative sample study. International Journal of Science Education, 30(9), 1183-1200. (SSCI) (CEEC Research-93-008). Chang, C. Y. *, Lee, W. C. & Yeh, T. K. (2006). Taiwanese earth science curriculum guidelines and their relationships to the earth systems education of the United States. Journal of Geoscience Education, 54(5), 620-624. (NSC 89-2511-S-003-144, 90-2511-S-003-028, and 91-2514-S-003-004). Wang, H. C.*, Li, T. Y. * & Chang, C. Y. * (2006). A web-based tutoring system with styles-matching strategy for spatial geometric transformation. Interacting with Computers, 18, 331-355. (Special Issue: Human factors in personalized systems and services) (NSC 94-2524-S003-014) (SCI) (SSCI) (EI). Chang, C. Y. * (2005). An instruction-preference interaction in different delivery models of computer-assisted instruction. The Science Education Review, 4(4), 119-120. Chang, C. Y. * (2004). Analyzing empirical evaluation of advanced learning environments: Complex systems and confounding factors. Learning Technology Newsletter, 6, 39-41.